As we near the end of 2017, we’ve taken the time to look back over the last 12 months and reflect on how we’ve grown as a company over the year. All in all, it’s been an incredible year for the team here at Titus Learning. Most importantly, we’ve had the privilege to work with a fantastic group of new and existing clients, and we’d like to take this opportunity to thank each of you for your continued support, and wish you all the best for 2018! 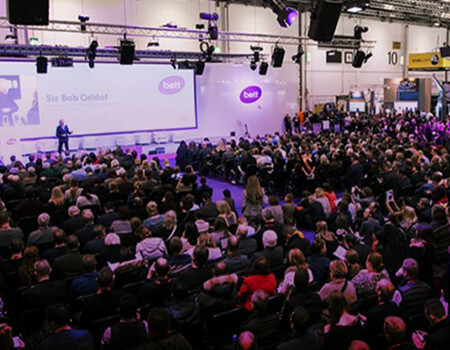 2017 began with two major UK education events, as Titus Learning headed to London for the Bett Show and then to Salford for the Academies Event 2017. At Bett, Seb Francis represented Titus Learning as part of a panel discussion on Exporting Innovative Management Information & Learning Systems, covered by PIE News. The Academies Event centred around what the future holds for existing academies and schools considering converting to academy status, as well as discussing recent developments in the education sector. Both were extremely valuable opportunities to share knowledge and network with educators and companies working in the sector. Titus Learning was featured on the Virgin Startup website, where our co-founder Seb gave a case study of how the business was founded and our journey so far. Seb continues to work as an ambassador for Virgin StartUp, helping to mentor and advise new businesses. We also published an overview of the most transformative plugins available for Moodle, which schools could use to revitalise use of their LMS. As this proved a popular topic, we began a monthly series of posts looking at the best Moodle plugins on an ongoing basis. Alongside fellow edtech companies Canvas and Kaltura, we contributed to a thinkpiece in Education Technology magazine, titled The digital transformation of the classroom, which looked at how VLEs and the Cloud have become key fixtures in the classrooms of today. On the social media side, we celebrated the @tituslearning Twitter account reaching 1,500 folllowers. We also released a new set of guidelines for schools on how e-learning can help meet Ofsted requirements, and the work we’re doing to further that. In April Titus Learning co-founder and director Seb Francis attended the Moodle Moot UK and Ireland 2017 at the Park Plaza Riverbank London, which was a great opportunity to showcase some of the work we’ve been doing for our own clients, and get feedback from the biggest and best in the Moodle community. We were also pleased to receive a glowing review of EduLink One on David Pott’s Assessment Manager blog, highlighting how it integrates with the SIMS ecosystem. May got off to a good start with the 36th COBIS Annual Conference at which we presented case studies of the recent work we had done for COBIS themselves, and a number of schools including Wellington College International, Jerudong International School and International School Brunei. Our co-founder and director Seb Francis was interviewed for Education Technology Magazine on the Digital Transformation of the Classroom and we also saw the release of Moodle 3.3. 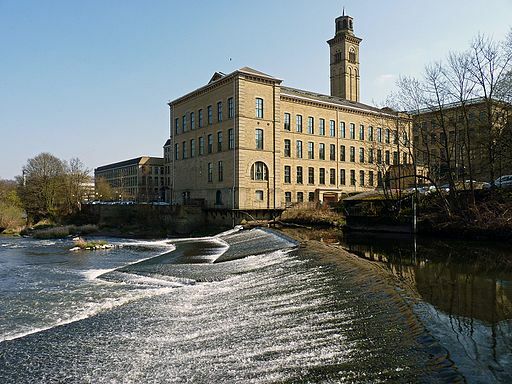 June saw Titus Learning move to new premises in Saltaire, West Yorkshire. Fittingly, the new office was in Salt’s Mill, built by our namesake Sir Titus Salt. Even better, we actually moved into the office space once used by the man himself! We attended the Innovations in Education Conference 2017 in London, and at the end of the month, a new version release added absence reporting and assessment grids to EduLink One. Luke Tillotson joined us in July as Head of Sales, bringing the benefit of 8 years of experience within e-learning to the company. With cybersecurity very much in the headlines following the much publicised ‘WannaCry’ and ‘Petya’ ransomware attacks we put together a list of the most common security issues which should be addressed, focusing particularly on Moodle. We were also delighted to announce new integration for WCBS allowing schools to connect and synchronise their database with approved third party applications including Titus LMS. With many of our clients on holiday for the month, we took the opportunity to spend some time considering current and future trends in educational technology, and how that might impact our development work. We also welcomed a new member of the team, Marcus Green, who joined us as a Senior Developer, and celebrated Moodle’s 15th birthday with a look at 15 interesting facts about the platform. 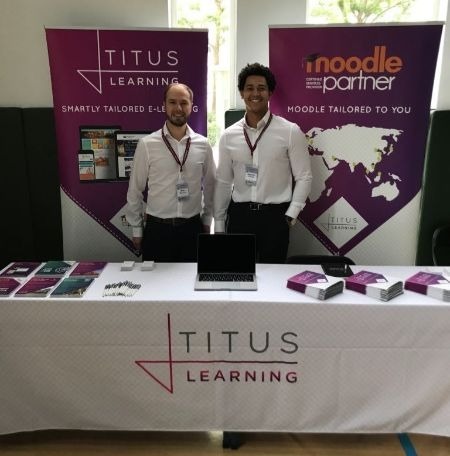 The beginning of the new academic year marked a major milestone for Titus Learning as we were awarded Certified Moodle Partner status for the UK and Hong Kong – one of only 12 Moodle Partners to be certified in more than one territory. We also unveiled our new brand identity, reflecting how we’ve grown as a company, where we’re heading and with a nod to our heritage in Saltaire. Development work continued with the release of new features in Edulink One. Our autumn events season kicked off with two conferences, the ACAMIS 2017 Technology Conference in Macao and the EARCOS Leadership Conference 2017 in Bangkok. We also took some time out to consider how artificial intelligence will impact teaching and learning in the coming year, and how we can help schools streamline learning by integrating systems and promoting automation. October also saw the start of a new recruitment drive, as we look to grow our development, support and marketing teams further. The month got off to a great start as we were nominated as one of 6 finalists for the Bett Award for “Exporter of the Year”. Our tour of South-East Asia continued with the FOBISIA Leadership Conference 2017 in Kuala Lumpur as well as two major events in Shanghai – SchoolSuccess & 3rd International Schools China 2017. We were also delighted to welcome Edd Clementson to the team as our Implementation Consultant, and November also saw the release of Moodle 3.4.